Pima County’s two Republican supervisors, Ally Miller and Steve Christy, have stuck close together on most issues since Christy won election and Miller won re-election to the five-member board in November. That’s been a change, because in the past Miller fought with her former Republican colleague, Ray Carroll, more than with any other supervisor. They became intense personal rivals. But now, the inherent differences between Christy, a former car dealer supported by big business, and Miller, who emerged from the GOP’s tea-party rebellion, are causing them to split on some important choices. In a poetic twist, it was Carroll himself who made those differences clear this week. Carroll had applied to be appointed justice of the peace for the vacant seat in Green Valley. Though he was the first applicant, eventually seven others applied. With the Green Valley seat being in Christy’s district, it was up to Christy to nominate a candidate. Despite his Republican ally’s bitter dislike of Carroll, Christy nominated him. “I’m afraid some of the comments she made frankly are biased perhaps by the political prejudice she feels related to Supervisor Carroll,” Elías said. “Point of order!” Miller exploded. “He has the floor, Supervisor Miller, he has the floor,” Bronson shouted. “He can speak his opinion but he doesn’t need to attack me,” Miller complained. “He’s not attacking you,” Bronson responded. The vote went on, and Miller lost not by the familiar 3-2 count, but by 4-1. And this will not be the end of the divisions between Christy and Miller. 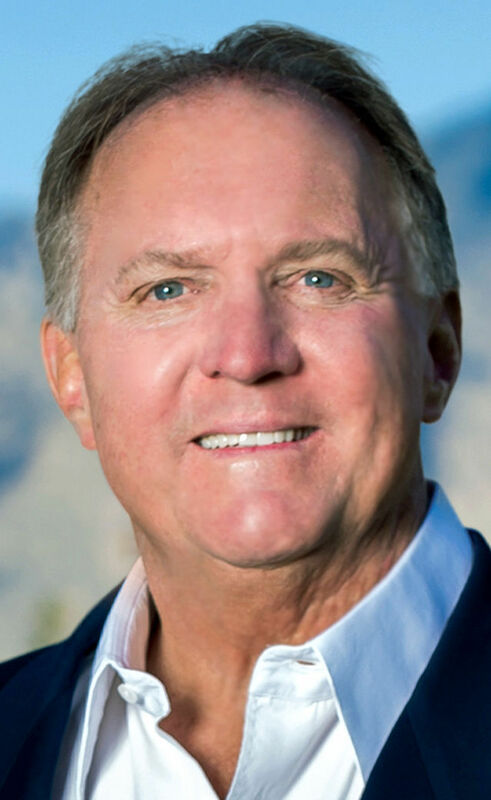 Christy has recently come out in favor of using a sales-tax increase, instead of a property-tax increase, to pay for much needed road repairs in Pima County. Miller opposes raising any taxes to pay for road repairs, saying we have a spending problem, not a revenue problem. Dr. Kelli Ward has always struck me as an unseaworthy ship for conservative Republicans to try to sail into the U.S. Senate. If her solid loss to Sen. John McCain in last year’s primary wasn’t enough evidence of it, now we have more. On Thursday, the Ward campaign’s chief strategist and press secretary resigned and announced they oppose her in her race to challenge GOP Sen. Jeff Flake. They alleged that Ward had shown “blind ambition” that would make her susceptible to betraying “America First” Trump supporters. It was a jolting turn of events for the Ward campaign, which was buoyed this week by a visit and endorsement from Breitbart News chairman Steve Bannon, who was Trump’s chief strategist until August. Stockton and Lawrence are also Breitbart News alums but said they doubt Ward is a worthy vessel for the America First, pro-Trump message. For days, supporters of the Strong Start Tucson initiative have been complaining that the “Koch Bros.” are now involved in the campaign, opposing the city sales-tax increase they’ve proposed to pay for early childhood education. Opponents pooh-poohed the allegation, noting that all that really had happened was that Americans For Prosperity had a little anti-204 phone bank. Well, it seems to be getting more serious. This Saturday, AFP is organizing a door-knocking effort in Tucson and phone-banking against the ballot issue from Phoenix. Americans for Prosperity was founded by the billionaire libertarian political activists David and Charles Koch, and David Koch remains chairman of the board of the Americans for Prosperity Foundation. The group has an office in Phoenix and has members in the Tucson area but no office here. The leader of the pro-204 campaign, Penelope Jacks, told me she is “appalled” by the outsiders’ entry into the debate. During the Ward 3 primary campaign, eventual Democratic winner Paul Durham sent out some scathing mailers against fellow Democrat Felicia Chew, alleging she helped get Donald Trump elected president by voting for Green Party presidential candidate Jill Stein. That didn’t sit well with Chew. Now she’s endorsing independent Gary Watson for the Ward 3 seat on the Tucson City Council. Ironically, Watson was a Republican who supported Trump. But the local GOP did not approve of his support for Prop. 101, the five-year sales tax increase for road repairs and public safety equipment. In a Facebook post announcing her endorsement, Chew said she could not endorse Durham because of the mailers and because she doesn’t think voting a straight party ticket is a good idea. The recent Cup it Up controversy revealed one of the social-media platform's many flaws: Online mob mentality. Hansen's video notebook: What's the buzz around Arizona basketball and the Red-Blue Game?